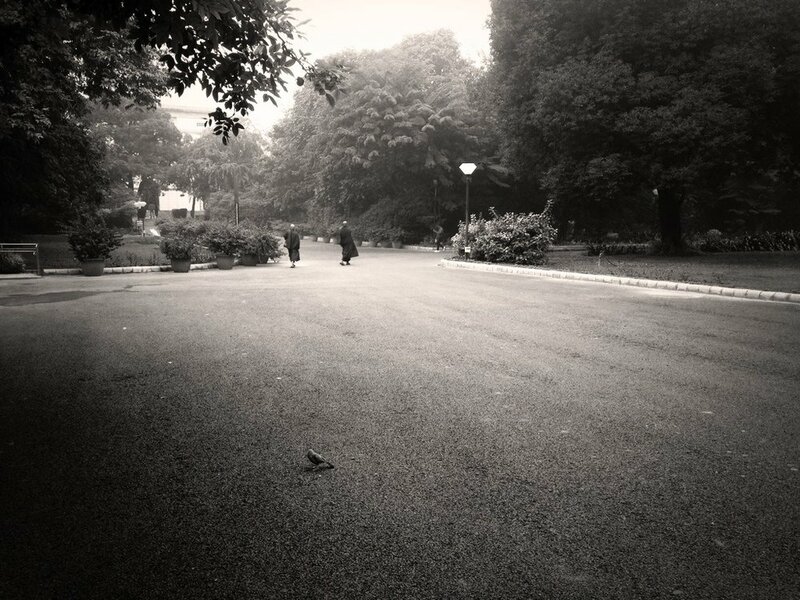 I hadn’t been to Delhi till October this year. When I went to pitch at the Global Impact Award, that was my first time and then in a matter of 2 days, I was back for the Inaugural Janaagraha L C Jain Memorial Lecture at the Nehru Memorial Museum and Library. Both of these were amazing experiences and deserve posts of their own. Will get to that later. When I went to Delhi in the last week of October, Delhi was sunny. There was freshly mowed lawn, primary colored bean bags, endless cups of coffees and friendly geeky people in the nook that was the Taj Mansingh and Taj Ambassador. A gap weekend of Diwali and so much had changed. Everything was jumping out at me - loudly, unabashedly. I was in Dally. 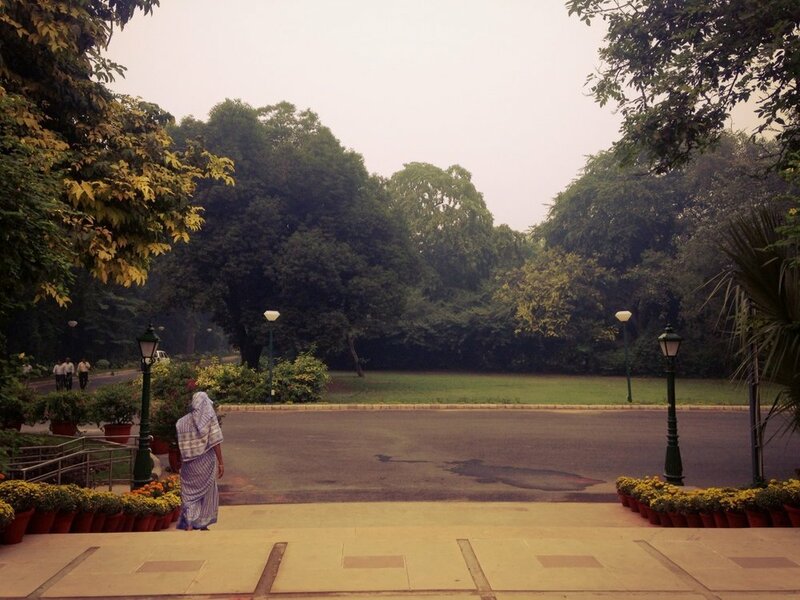 Smog veiled the Rashtrapati Bhavan, the trees, the planes, the people, everything. So much like the polyester grey dupatta aunties wear over their nighties when dropping kids to school - so boring, it’s not even a distraction. But that’s a pity because (New?) Delhi is a mesmerizing city - there are rich people, famous people, armed people, babu people, safari suit people, politician people everywhere; there are barbed wires and red sandstone buildings; there are regular people lazing in lawns in roundabouts; there are people afraid of cops who will pull them up for not wearing a seatbelt, there are people who are driving and taking notes on their hands. CAPITAL City. I felt severely underdressed, even for walking down the street. And then when I did get to the street, I felt undressed. The unstopping, penetrating gaze of the regular Delhi man never left me: The cab driver, the hotel staff, the shopkeepers, the pedestrians. Rupali at one point told me I’d stop noticing it. Or maybe she meant I’d stop feeling so naked. Or maybe that with time I’d forget that all-consuming sense of violation. Inviolate City? 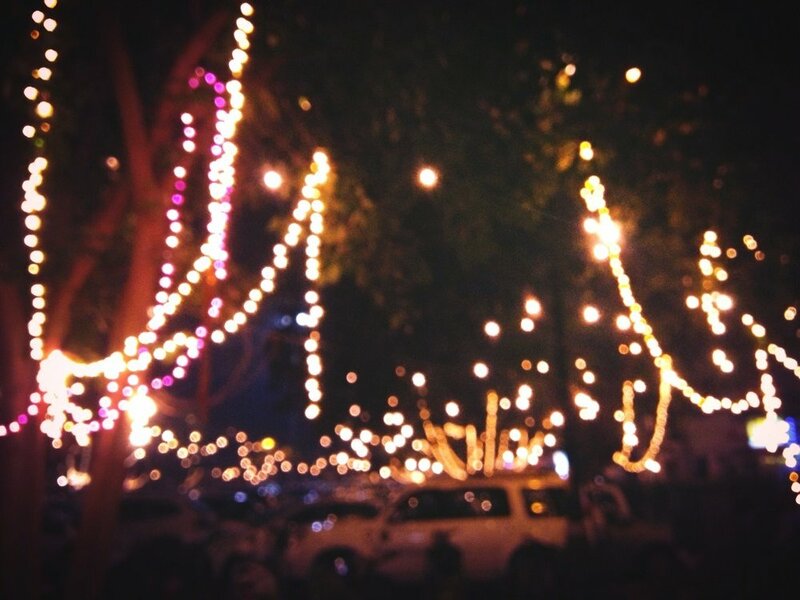 If I squinted at the rows of sparkly lights in Khan Market, all I could see were shiny, happy, angry, powerful cars. A corner restaurant that smelled of freshly butchered meat served the softest Kakori Kebabs that I’d ever eaten. My bar wasn’t too high, I’d just eaten the most bastardized version of mutton biryani the previous evening. Plump bush-tailed dogs kept guard, children with sun-bleached hair burst firecrackers on pavements. So many white people smoked on the streets, so many young Indian couples tottered around hand-in-hand. Lal battis with black caps had young girls with scrunched noses who drove away without paying for parking, attendants banging on their tintless rolled-up windows. Segregated City! Dally. Batter than Bangalore? Batty-er than Mumbai.